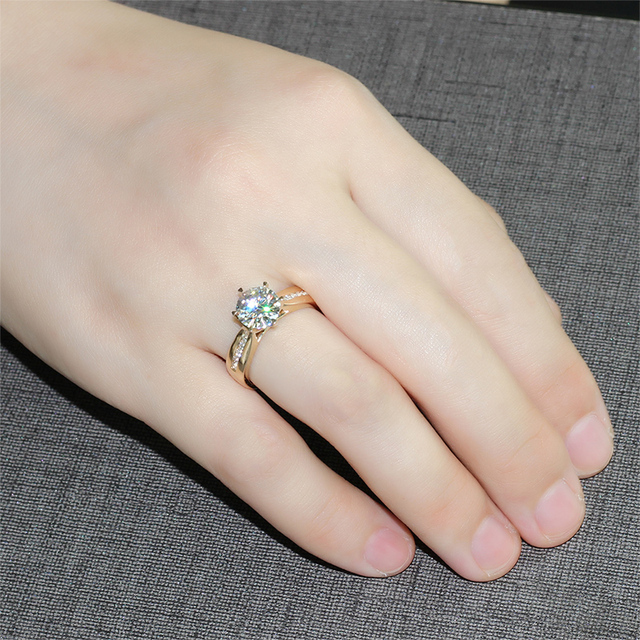 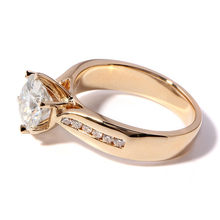 The dreamy appeal of this ring inspires confidence in the promise of love. 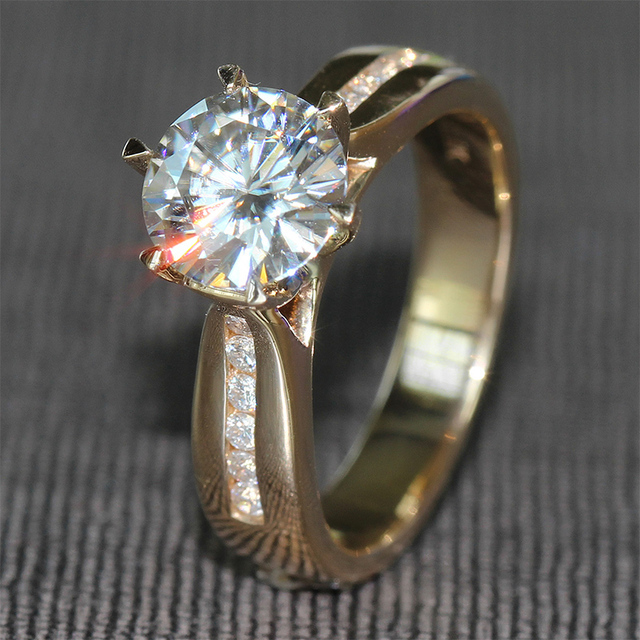 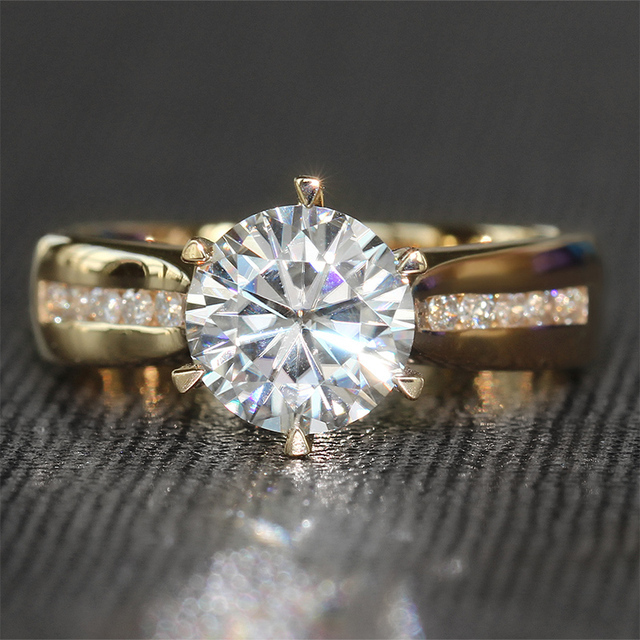 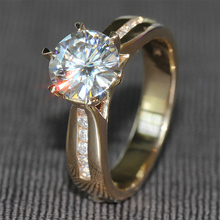 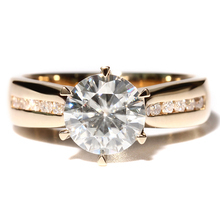 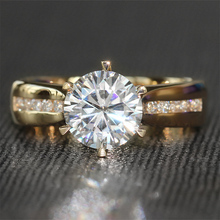 Classic six-prongs cradle a round brilliant cut Moissanite solitaire, flanked by saprkling round diamond stone accents. 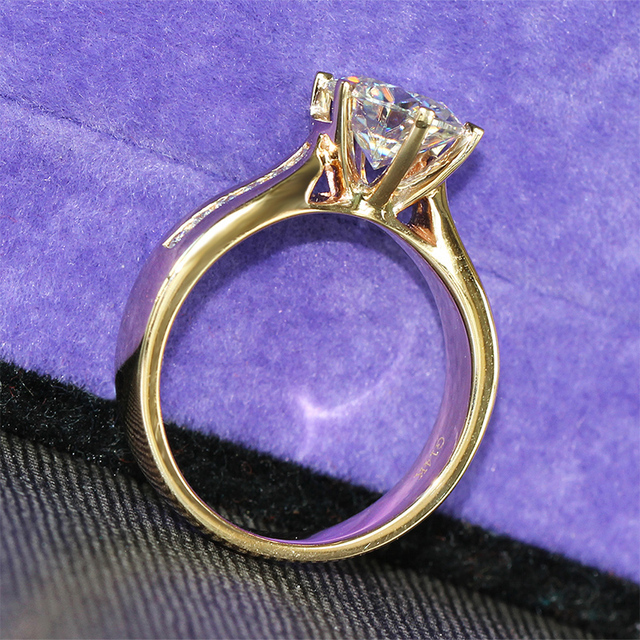 This love ring is offered in 14k yellow gold and is the perfect choice to avow your love.